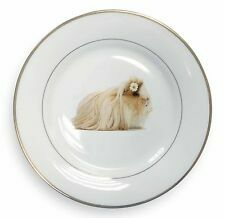 Unknown Maker collectors plate. has no box or certificate. 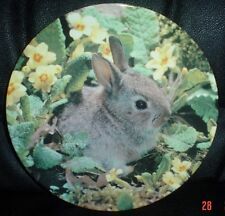 Coalport Danbury Mint collectors plate. GARDEN GUESTS. has no original box or certificate. Kitten Heels. Design /Print: The Cutest Guinea Pig Wearing a Flower in Hair. Christmas Baubles. Christmas Collectables. Glass Coasters. Glass Placemats. Mug & Coaster Set. Mug And Coaster Sets. COLLECTORS STUDIO 'SKUNKS ON AN APRIL OUTING' PLATE FOREST YEAR SERIES. SKUNKS ON AN APRIL OUTING. FROM THE FOREST YEAR COLLECTION BY JOHN FRANCIS. THE COLLECTORS STUDIO PLATE ENTITLED. 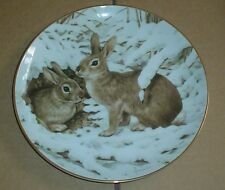 Lovely collectors plate entitled RABBITS IN THE JANUARY SNOW taken from the series THE FOREST YEAR, used but in very good condition. HIDING IN THE PRIMROSES taken from OUR LITTLE WOODLAND FRIENDS collection. 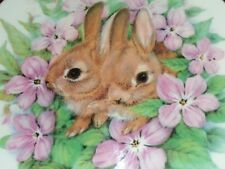 Royal Doulton collectors plate. It is in very good condition but has no box or certificate. THE COLLECTORS STUDIO PLATE ENTITLED BEAR CUBS JOIN IN A MAY FROLIC FROM THE FOREST YEAR COLLECTION BY JOHN FRANCIS. Lovely Britannia Designs Ltd England collectors plate. Lovely Royal Worcester Palissy embossed 3D style plate. THE COLLECTORS STUDIO PLATE ENTITLED WOOD DUCKS IN THE JULY SUN FROM THE FOREST YEAR COLLECTION BY JOHN FRANCIS. Design /Print: A Cute Rabbit with Guinea Pigs in Basket Chair and the Wording 'Happy Easter'. The Reynard Estate Fox. Glass Coasters. Glass Placemats. Mug & Coaster Set. Mug And Coaster Sets. Tea Towels,Aprons, Etc. This is the 1st plate in the series. Limited edition of 10,000 plates. Kitten Heels. Design /Print: A Pretty Black and White Kitten with a Family of Black and White Dutch Belgian Rabbits…. Christmas Baubles. Christmas Collectables. Newborn Baby to Toddler Gifts. Glass Coasters. THE COLLECTORS STUDIO PLATE ENTITLED PTARMIGANS SHOWW OFF NOVEMBER PLUMAGE FROM THE FOREST YEAR COLLECTION BY JOHN FRANCIS. 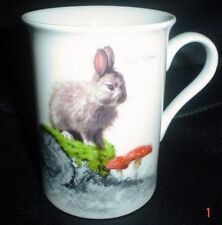 Crown Staffordshire Tranquility First edition in the four part Wildlife in winter collection created by Kevin platt This plate is no 3,075 in a sequentially numbered limited edition of 10,000 worldwide distribution Please have a look at our shop as we typically have over 1,000 items listed. We also have a 'priced low to clear section' in our shop where you can pick up a bargain, usually because it is either older stock or I just don't like looking at it anymore. Christmas Baubles. Christmas Collectables. Glass Coasters. Glass Placemats. Mug & Coaster Set. Mug And Coaster Sets. Tea Towels,Aprons, Etc. Border Fine Arts Collectables. 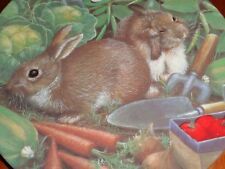 Design /Print: A Cute Rabbit and Guinea Pigs. The Reynard Estate Fox. Christmas Baubles. Christmas Collectables. Glass Coasters. Glass Placemats. Mug & Coaster Set. Mug And Coaster Sets. Design /Print: A Row of the Cutest Rabbits. Christmas Baubles. Christmas Collectables. Glass Coasters. Glass Placemats. Mug & Coaster Set. Mug And Coaster Sets. Tea Towels,Aprons, Etc. Christmas Baubles. Christmas Collectables. Newborn Baby to Toddler Gifts. Bottle Opener. Glass Coasters. Glass Placemats. Mug & Coaster Set. Mug And Coaster Sets. Newborn Baby to Toddler Gifts. Christmas Baubles. Christmas Collectables. Glass Coasters. Glass Placemats. Mug & Coaster Set. Mug And Coaster Sets. Tea Towels,Aprons, Etc. Dogs, Cats Animals (By Breed). Design /Print: Two Adorable Silver Rabbits on a White Background with the Wording 'Love You Mum'. Christmas Baubles. Christmas Collectables. A Breed Apart. Glass Coasters. Teddy Bears Animal Soft Toys. Christmas Baubles. Christmas Collectables. Newborn Baby to Toddler Gifts. Bottle Opener. Glass Coasters. Glass Placemats. Mug & Coaster Set. Design /Print: Cute Guinea Pigs with the Wording 'Soulmates'. Teddy Bears Animal Soft Toys. Christmas Baubles. Christmas Collectables. Newborn Baby to Toddler Gifts. Bottle Opener. Glass Coasters. Teddy Bears Animal Soft Toys. Christmas Baubles. Nursery and Childrens Teddy Bears, Collectors Teddy Bears, Cuddly Bears and Romantic Bears. Teddy Hermann Teddy Bears and Animals. Christmas Collectables. Design /Print: A Cute Little White Gerbil in the Light of the Moonlit Night…. Christmas Baubles. Christmas Collectables. Newborn Baby to Toddler Gifts. Bottle Opener. Glass Coasters. Glass Placemats. Mug & Coaster Set. 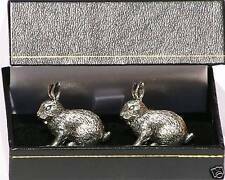 Design /Print: Two Adorable Silver Rabbits on a White Background…. Christmas Baubles. Christmas Collectables. Glass Coasters. Glass Placemats. Mug & Coaster Set. Mug And Coaster Sets. Tea Towels,Aprons, Etc. Original artwork by John Francis. This previously owned plate is in good condition. Design /Print: Cute White Rabbits with the Wording 'Happy Easter'. Christmas Baubles. Christmas Collectables. Newborn Baby to Toddler Gifts. Bottle Opener. Glass Coasters. Glass Placemats. Mug & Coaster Set. Design /Print: The Most Beautiful Fluffy Angora Rabbit…. The Reynard Estate Fox. Christmas Baubles. Christmas Collectables. Glass Coasters. Glass Placemats. Mug & Coaster Set. Mug And Coaster Sets. Design /Print: A Cute Little Hamster Cramming as Much Food as he Can Into his Food Pouches…. Christmas Baubles. Christmas Collectables. Glass Coasters. Glass Placemats. Mug & Coaster Set. Mug And Coaster Sets. Design /Print: Rabbit and Guinea Pigs, Personalised with ANY Wording of Your Choice. The Reynard Estate Fox. Christmas Baubles. Christmas Collectables. Glass Coasters. Glass Placemats. Mug & Coaster Set. Design /Print: A Cute Rabbit with Cocker Spaniel, Personalised with Any Wording of Your Choice. The Reynard Estate Fox. Christmas Baubles. Christmas Collectables. Dog and Cat Collars. Glass Coasters. Design /Print: Two Cute Fluffy Grey Rabbits with the Wording 'Happy Easter'. Christmas Baubles. Christmas Collectables. Glass Coasters. Glass Placemats. Mug & Coaster Set. Mug And Coaster Sets. Tea Towels,Aprons, Etc. Glass Coasters. Glass Placemats. Mug & Coaster Set. Mug And Coaster Sets. Tea Towels,Aprons, Etc. Border Fine Arts Collectables. A Thick Gold Leaf Around Rim. Making the Perfect Gift Idea… Or Your Own Personal Treat. Design /Print: Black Rabbit with Guinea Pigs, Personalised with Any Wording of Your Choice. The Reynard Estate Fox. Christmas Baubles. Christmas Collectables. Glass Coasters. Glass Placemats. Mug & Coaster Set. 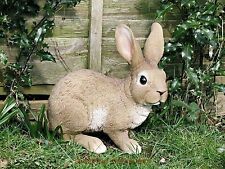 Teddy Bears Animal Soft Toys. Design /Print: Rabbits in Top Hats with the Wording 'Happy Easter'. Christmas Baubles. Nursery and Childrens Teddy Bears, Collectors Teddy Bears, Cuddly Bears and Romantic Bears. Design /Print: The Most Beautiful Fluffy Angora Rabbit with the Wording 'Love You Mum'. Dogs, Cats Animals (By Breed). The Reynard Estate Fox. Christmas Baubles. Christmas Collectables. A Breed Apart. Kitten Heels. Design /Print: Cute Rabbits with Kitten and the Wording 'Happy Easter'. Christmas Baubles. Christmas Collectables. Newborn Baby to Toddler Gifts. Glass Coasters. Glass Placemats. Mug And Coaster Sets. Design /Print: Five Cute Rabbits with the Wording 'Happy Easter'. Christmas Baubles. Christmas Collectables. Glass Coasters. Glass Placemats. Mug & Coaster Set. Mug And Coaster Sets. Tea Towels,Aprons, Etc. Design /Print: Cute White Rabbits with Yellow Chicks in Hats and the Wording 'Happy Easter'. Glass Coasters. Glass Placemats. Mug & Coaster Set. Mug And Coaster Sets. Tea Towels,Aprons, Etc. Border Fine Arts Collectables. Dogs, Cats Animals (By Breed). 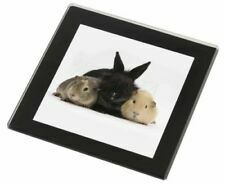 Design /Print: A Pretty Black Rabbit with Two Guinea Pigs…. The Reynard Estate Fox. Christmas Baubles. Christmas Collectables. A Breed Apart. Glass Coasters. Glass Placemats. Design /Print: Two Cute Golden Hamsters Playing with a Pot…. Christmas Baubles. Christmas Collectables. Glass Coasters. Glass Placemats. Mug & Coaster Set. Mug And Coaster Sets. Tea Towels,Aprons, Etc. Kitten Heels. Design /Print: Rabbit and Exotic Kitten, Personalised with Your Choice of Wording. The Reynard Estate Fox. Newborn Baby to Toddler Gifts. Glass Coasters. Glass Placemats. Mug & Coaster Set.